The Dodge Dart is a compact sedan made by the auto manufacturer Chrysler/Dodge. It is a small economy car that is compact but also spacious enough to hold up to 5 passengers. 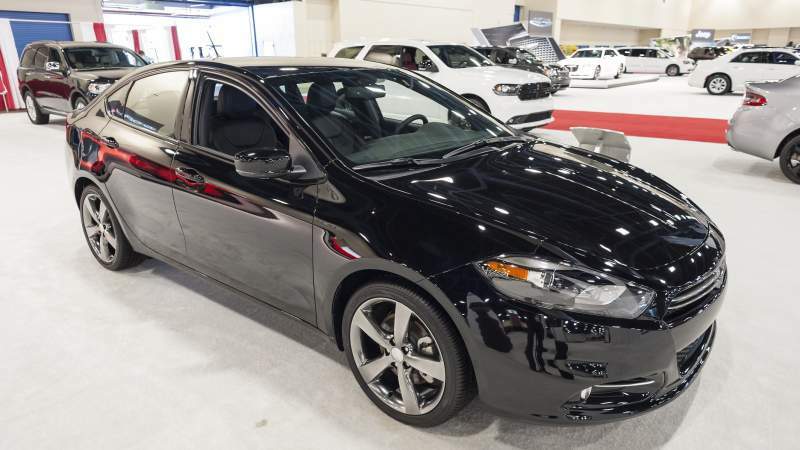 In terms of its size and trim, the Dart has a wheelbase of 106.4 inches, a length of 183.9 inches, a width of 72 inches and a height of 57.7 inches. 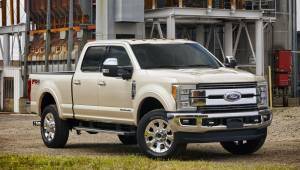 Its curb weight is between 3100 and 3350 pounds. The Dart is offered at trim levels SE, SXT, GT, Aero and Limited. One of the best things about the Dodge Dart is that it is one of the most affordable cars on the market. The MSRP of the Dodge Dart ranges between $18,090 and $25,490, making it quite affordable for most drivers. If you are looking for a base model, you will be able to get the vehicle for a little over $18,000. Consumers who wish to get the top trim levels will need to pay over $25,000 for a fully loaded advanced Dart. With a Dodge Dart, you can choose between a manual and an automatic transmission. The engines offered by the Dart include a 2.0 liter four cylinder engine, a 1.4 liter turbo four cylinder engine and a 2.4 liter four cylinder engine. 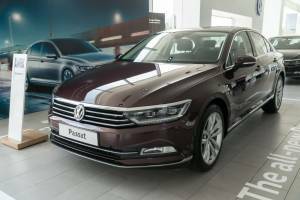 It also comes with a backup camera, an eight inch touchscreen and also four doors. The Dodge Dart’s performance will likely satisfy those looking to get a basic economy car. With a Dodge Dart, you can choose either a six speed automatic transmission or a manual transmission. It offers a few engine options such as a 2 liter, 2.4 liter and also a 1.4 liter turbo engine. The horsepower of this car ranges from 160 to 184, which is good for a car in its class. It can go from 0-60 miles per hour in 8.2 seconds. With a Dodge Dart, you will be able to take advantage of a number of safety features. The Dodge Dart offers electronic stability control and roll stability control. These features will help keep you safe in dangerous driving conditions. It also offers side impact beams and an airbag occupancy sensor. You will also get low tire pressure warning, rear child safety locks and also ABS and driveline traction control, and driver, passenger, knee and rear side impact airbags. This car offers some very basic entertainment features as well. Consumers will get radio, 4 speakers and an audio theft deterrent. Lastly, there is an integrated roof antenna. The Dodge Dart has a considerable amount of competition in its class. Its main competitors are the Mazda 3, Honda Civic, and the Chevrolet Cruze. Fortunately, the Dart holds up against these competitors. The first car that the Dart competes with is the Mazda 3. This car is a compact sedan just like the Dart. However, it also comes in hatchback form as well. In terms of its performance, the Mazda 3 offers very agile handling, great acceleration and also a number of quality technology and safety features. Compared to the Dart, the Mazda 3 has a similar amount of power and speed. However, it has more agile handling. The Dart is a little larger than the Mazda 3 and it can therefore offer more room for drivers and passengers. In terms of price, the Dart is a little less expensive as well. Therefore, the Dart has an advantage in price and size over the Mazda 3. Another competitor of the Dodge Dart is the Honda Civic. This is one of the most popular cars on the market. It is also one of the top vehicles in its class and in the entire auto industry. With a Honda Civic, consumers will get some of the most advanced technology and safety features available. This car offers an 8-inch touchscreen along with a lane watch feature. The acceleration and handling are outstanding. With a Honda Civic, you will also get great fuel economy and reliability as well. Compared to the Civic, the Dodge Dart is cheaper and has a more simplistic design and technology features that are easier to use. With the Chevrolet Cruze, consumers will have a worthy competitor of the Dart to consider. The Chevy Cruze offers a number of advanced technology features and safety features. It also offers agile handling, good acceleration and a decent amount of space. The Cruze is also cheaper than the Dodge Dart. However, the Dodge Dart offers more space and is therefore a little more comfortable. When looking to purchase a vehicle, one of the most important things to consider is the fuel efficiency. The Dodge Dart offers a decent amount of fuel efficiency to consumers. You will get 25 miles per gallon in the city and 35 miles per gallon on the highway. Therefore, the average mile per gallon on this vehicle is about 30 miles. With this fuel economy, most auto consumers will be able to drive an adequate distance before having to refill the gas tank. As with any other vehicle, the Dodge Dart has a number of pros and cons to consider. First, the Dart is a sizeable compact sedan that offers plenty of space for its class. As a result, many people can comfortably sit in the car for extended periods of time. It also has a simplistic design and will therefore be ideal for those who a just looking for an average commuter car. The Dart also has some good performance options as you get up to 184 horsepower. Its fuel economy is also decent for an average vehicle. One of the main cons of this vehicle is that the car is heavy for its class. As a result, acceleration and handling are not the best for its class. The fuel economy is good but it is inferior to other cars in its class. Along with performance and fuel economy, the Dart is also less technologically advanced than its competitors. Lastly, the Dodge Dart is ranked among the least reliable vehicles as well. Therefore, you may need to get maintenance and repairs on this car more often than other cars in its class.